Co. Tipperary: Aglishcloghane, Ballingarry, Ballylusky, Borrisokane, Cloghjordan, Cloghprior, Finnoe, Kilbarron, East Lorrha, West Lorrha, Mertonhall, Terryglass, Uskane. The Guardians met each week on Monday at noon. 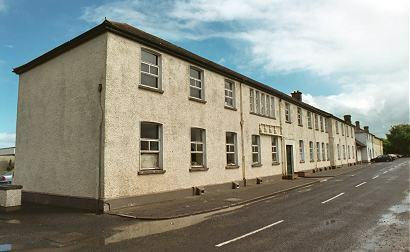 The new Borrisokane Union workhouse was erected on a nine-acre site half a mile to the north-east of Borrisokane. Designed by the Poor Law Commissioners' architect George Wilkinson, the building was intended to accommodate 600 inmates. Its construction cost £6,550 plus £1,330 for fittings etc. The site location and layout are shown on the 1903 OS map below. 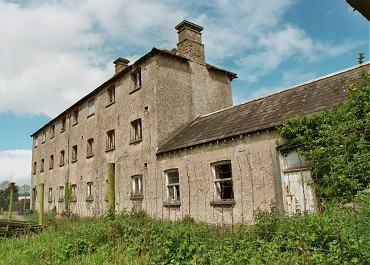 The building was somewhat different to Wilkinson's earlier designs, and was a similar size and layout to the workhouses at Castlecomer, Clonakilty, Urlingford and Mitchelstown which were built at around the same time. The front of the site at the south had a central entrance, flanked by a long two-storey block at each side. 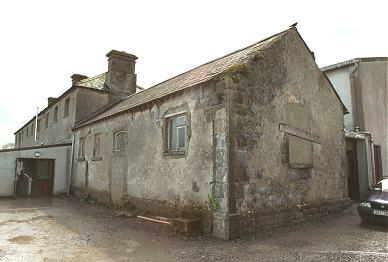 A two-storey hospital block stood at the north of the site. At the 1901 census, the population of the Union was 8,532 including 6 officials and 100 inmates in the workhouse. The former workhouse site is now occupied by a local community college.